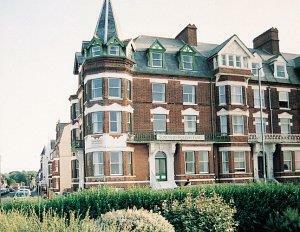 Spacious, self-contained two bedroom apartments situated on the seafront. Convenient for town centre, bus and railway stations. All apartments have lounges with superb sea views, colour TV and DVD players. Each has its own bathroom or shower room. All apartments are non smoking. Well equipped kitchens. The apartments are cleaned and maintained by the owners to a high standard. Our aim is to make your holiday as pleasant as possible. Private parking. External fire escape. Brochure available. To locate us by sat nav use postcode NR27 9AR. Open all year. Ground floor bedrooms No smoking Children welcome from any age. From Norwich take the A140 to Cromer. Follow the one way system signposted Sheringham and this will lead to Runton Road. Suncourt is the first large property on seafront on the left after boating lake. From Kings Lynn take the A148. Turn left at the mini roundabout after Morrisons and right at the seafront onto Runton Road. Suncourt is 50 metres on the right. Bus station is 200 metres away and the train station is 400 metres.